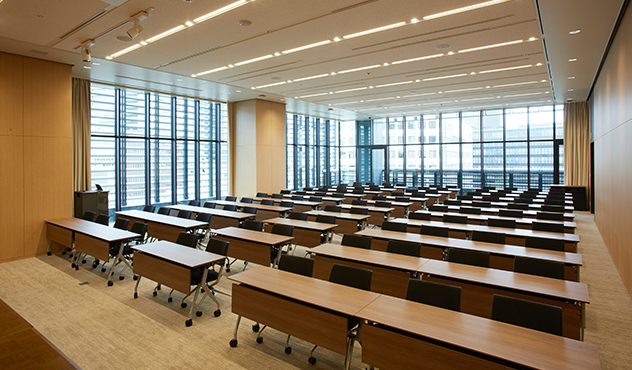 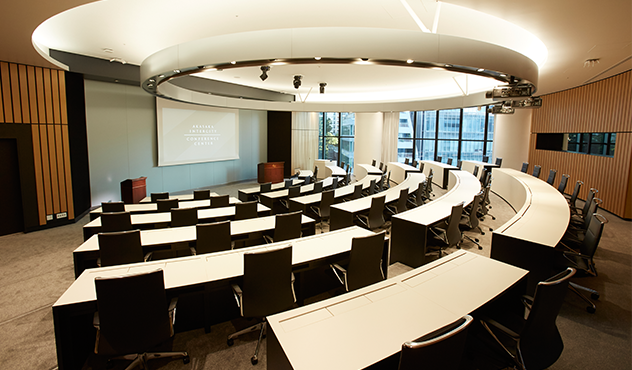 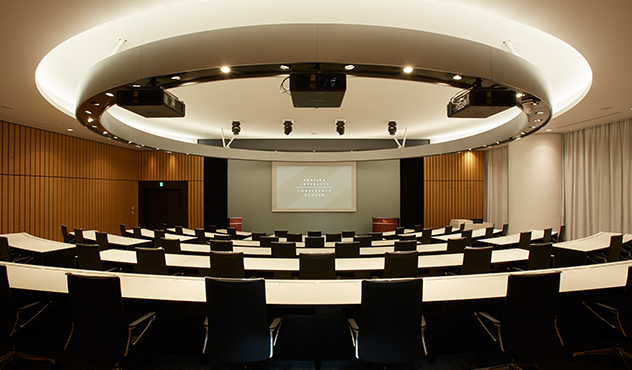 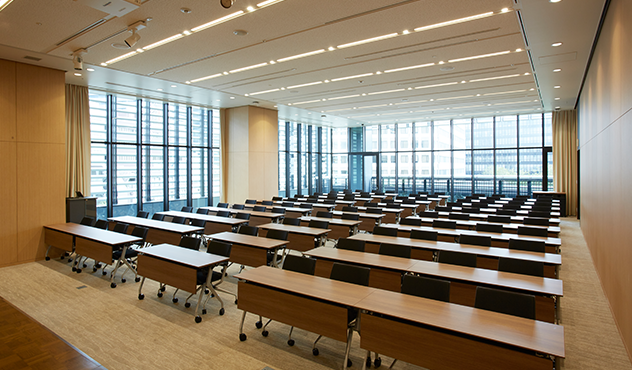 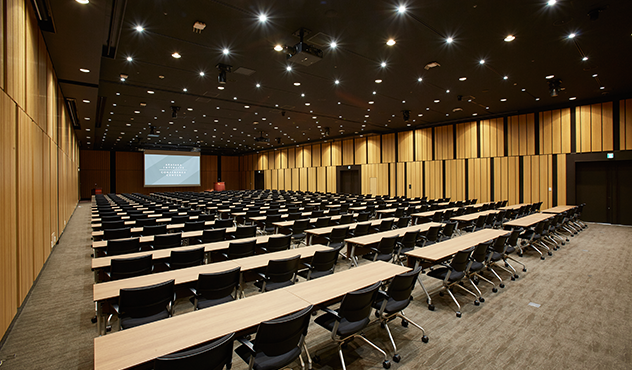 “the Amphitheater”, with its fan-shaped theater and dedicated lobby, is ideal for premium presentations. 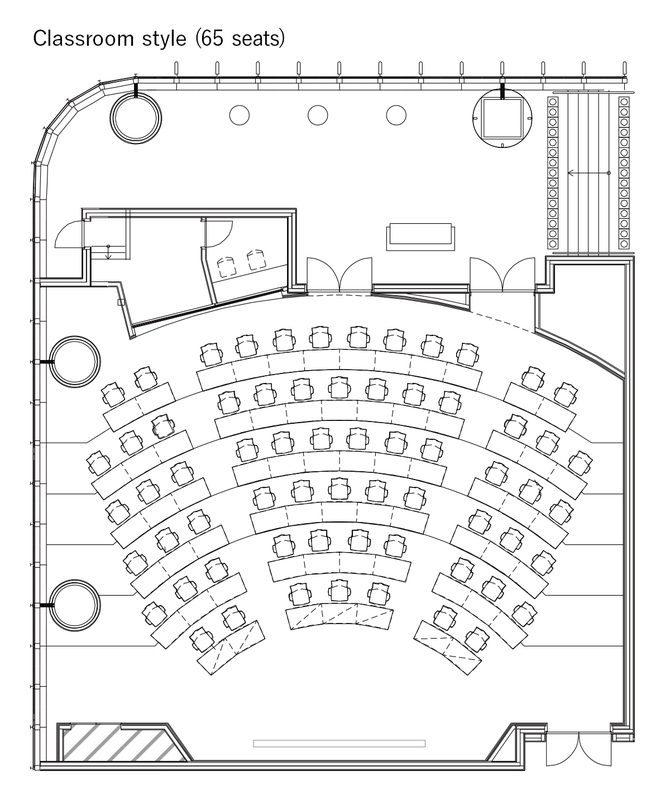 A fan-shaped amphitheater with high-visibility video projection. 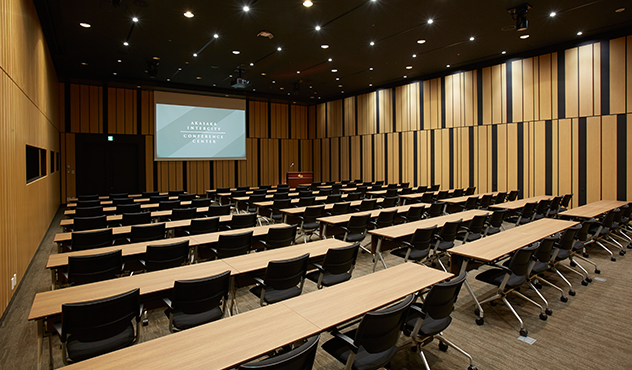 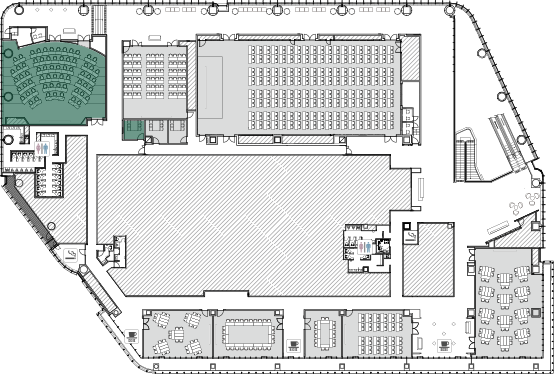 Equipped with simultaneous translation booths and a dedicated control room. 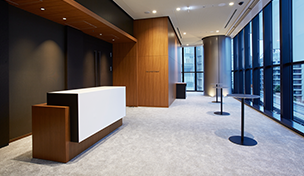 The dedicated lobby can be used as a rest area or exhibition space. 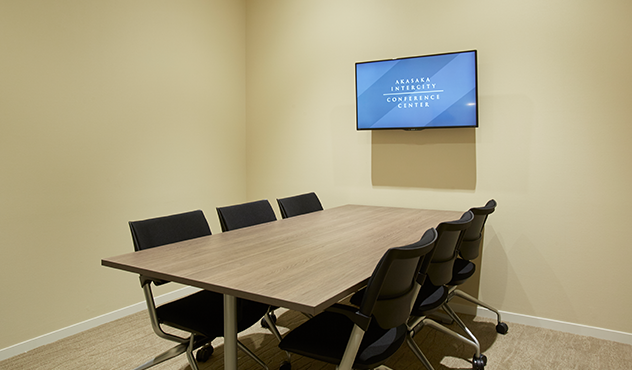 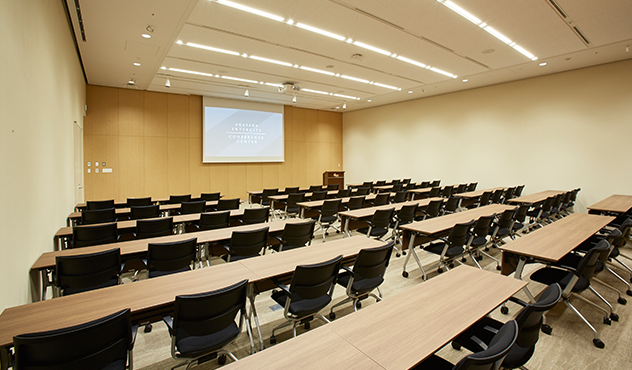 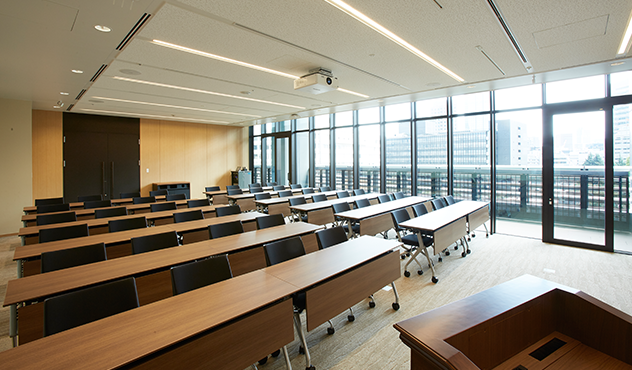 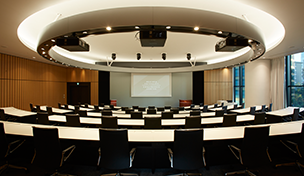 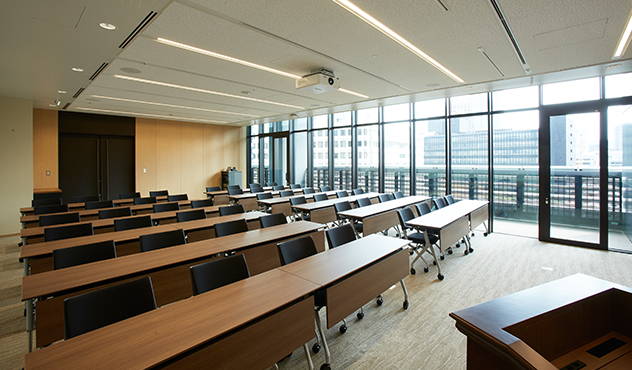 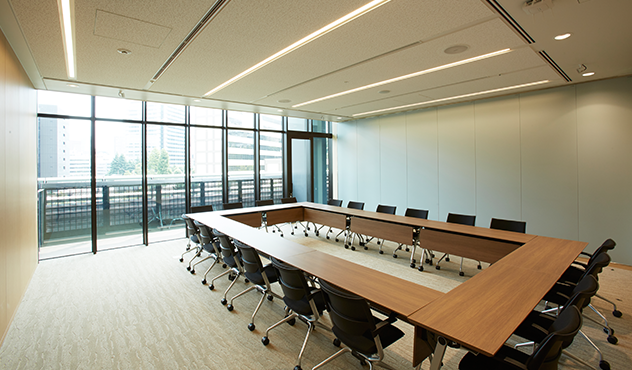 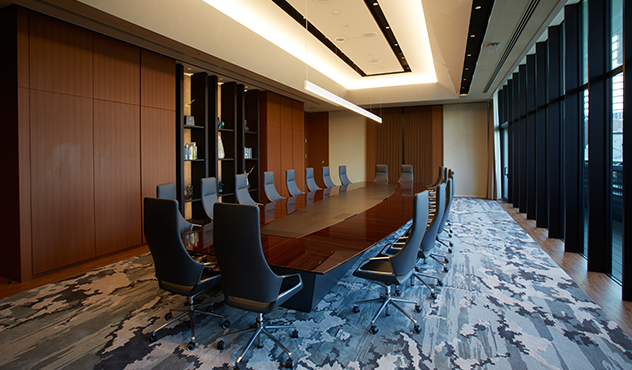 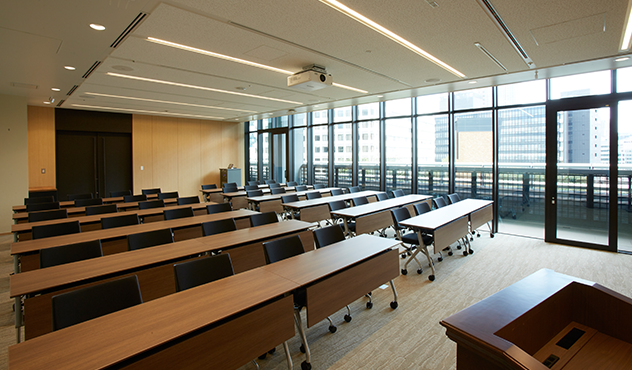 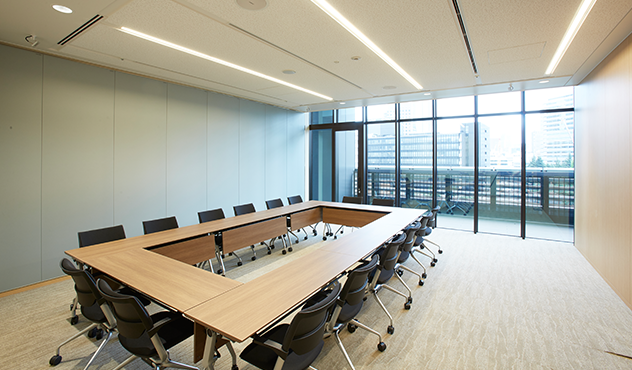 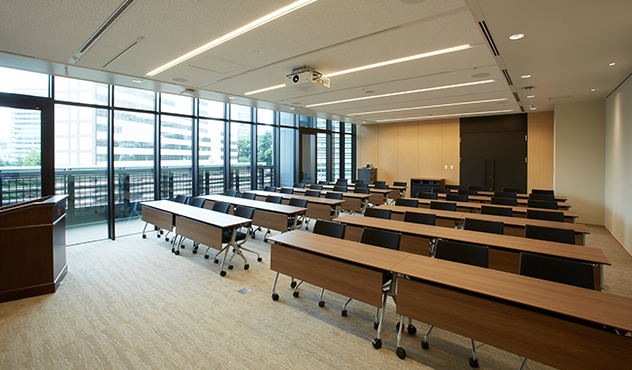 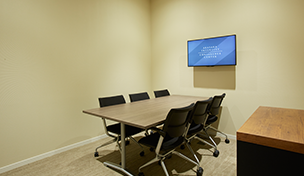 Our fan-shaped conference room is distinguished by its comfortable personal space and for its stadium seating that permits easy viewing of presentations from any seat in the room. 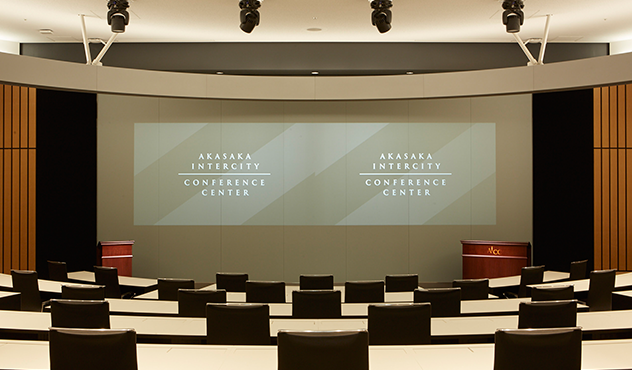 Various kinds of visual presentations are possible using a conventional screen and a glass screen that allows for the projection of video images on two surfaces at once. 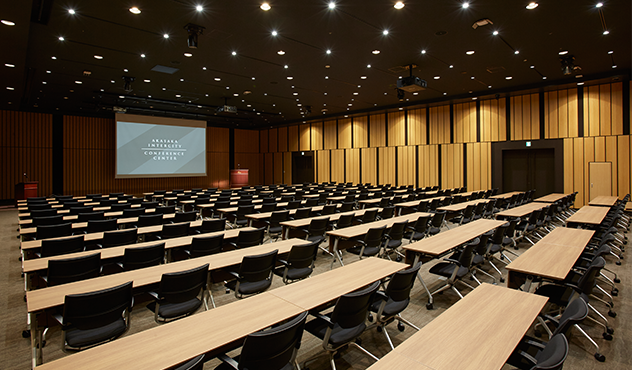 The conference room, combined with its waiting room and “the AIR”, is also ideal for international conferences and symposiums, and together with “the Green” as an exhibition space, for launch announcements of new products.